You know that going to the DMV or applying for a home loan can be stressful. Maybe a fight with a friend or family member can cause stress also. There are things that we all do to try and keep stress from creeping up in our lives. The reason that most people are trying to stay away from stress is that is can and is damaging to our life. 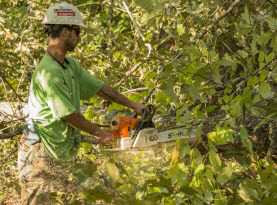 It might surprise you to know that the trees on your property can also become stressed. The stress can be damaging to the tree and that can then lead to the tree dying and it would have to be removed from your property. It is a good idea to know what could be causing your trees to be stressed that way you can try and avoid these causes. Incorrect Tree Planting Technique: One of the more common problems that will cause your trees to become stressed is how the tree was actually installed or planted. You might think that planting a tree is simple and all you need a hole that is large enough to fit the tree out of the barrel. This is a bad way to look at tree planting and it is best to have a professional company plant the tree for you. The tree will need to have some air in the soil that is surrounding it and the root ball of the tree needs to be placed in the ground deep enough. The other mistake that is sometimes made is that the soil has not been given the right amount of nutrients. Not Watering Trees Properly: Another problem that you might have that is causing stress on your trees is that they are not being watered properly. There are a few mistakes that people make when they water their trees. One is that they might be watering too little and that will cause the roots to stay towards the surface. The other problem is that you might be over saturating the ground which can cause the roots to rot and the tree can start to die off. If this happens the tree may need to be removed rather than flourish as intended. Need to Apply Much Correctly: You want to make sure that if you have trees they are given the right amount of care and treatments. 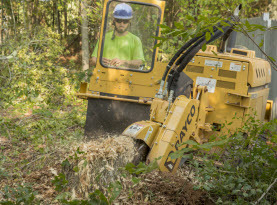 One part of caring for your tree is to make sure that it has the right amount of mulch. The mulch is what will protect the tree and the roots but it also can be too heavy. This will cause some of the moisture to stay too long and that will lead to rot. It also can cause the nutrients to not make it all the way down into the ground. 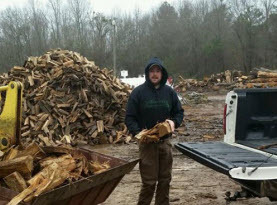 You want to make sure that you consult a professional about the amount of mulch that is best for your tree. 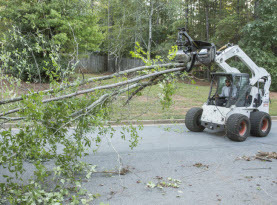 Milam’s Tree Service can come out to your house and inspect your trees for stress and remedy the problem for you. Call us today!